Deb Stoko Estesol Lotion Light Duty Hand Cleanser for regular use to remove general industrial soiling. It is lightly fragranced which is appealing to both males and females with no lingering scent. Usage: Suitable for use in any industrial environment at the end of each work period or more frequently if required, to remove everyday industrial dirt and grime. 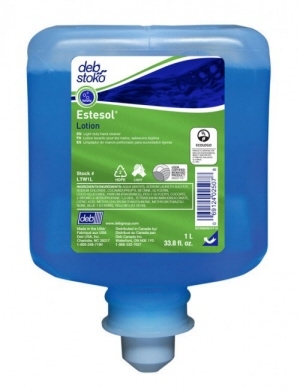 Method of Use: Apply 1 dose to dry hands. 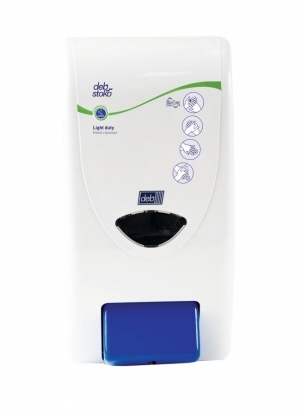 Rub in well and rinse thoroughly with clean running water. 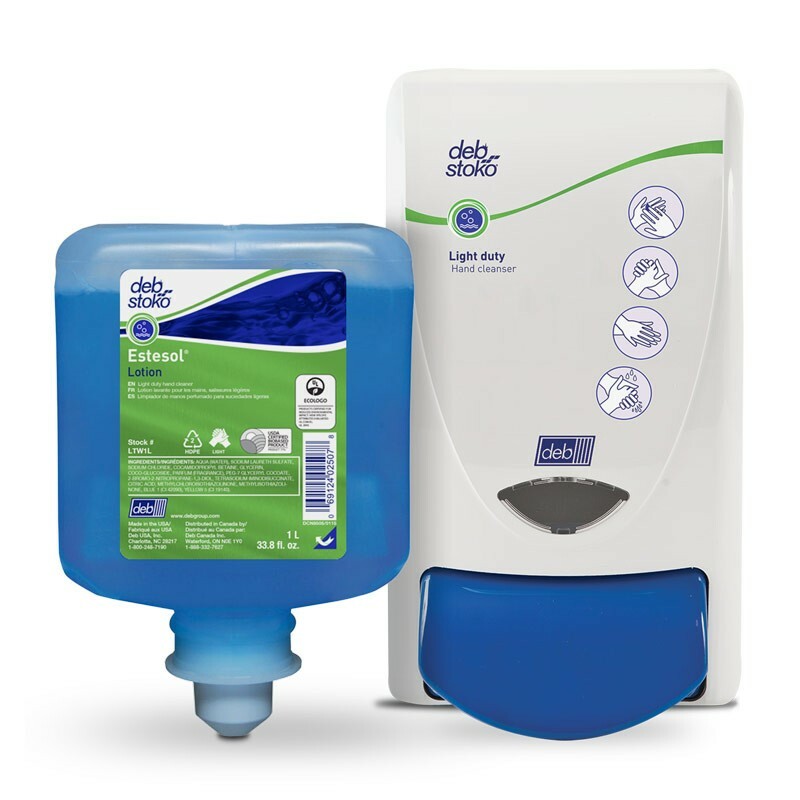 Wipe dry with disposable paper hand towels. 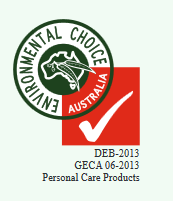 The product meets the strict requirements of the EU Ecolabel to demonstrate it is kinder to the environment. Appealing to both males and females with no lingering scent. Helps prevent skin dryness by increasing the amount of water in the surface layers of the skin, leaving hands feeling soft and supple. 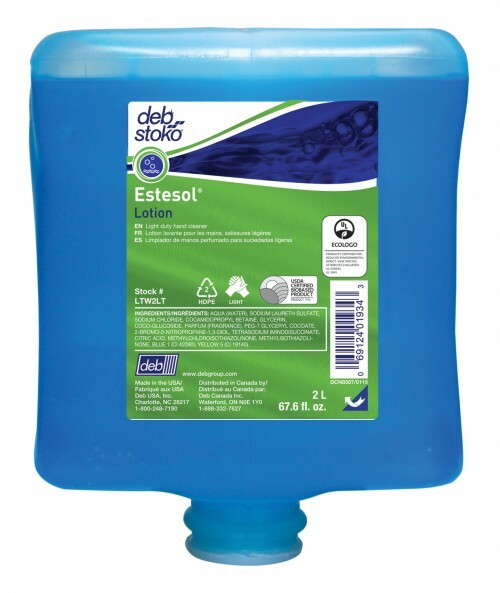 Quickly creates a rich lather for fast and effective hand cleaning; ideal for regular, daily use. 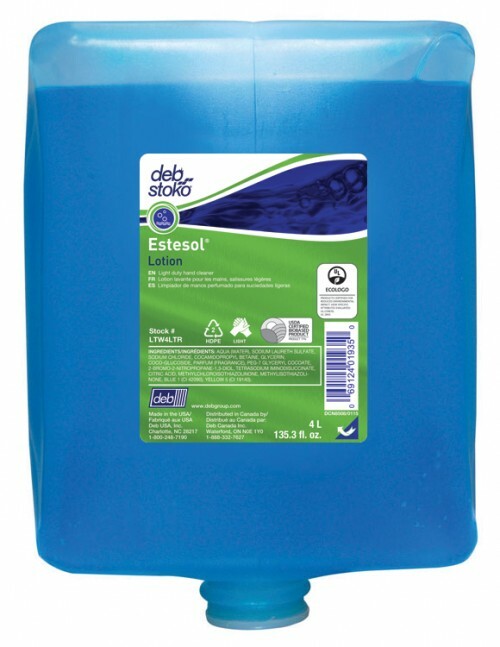 Aesthetically pleasing appearance and feel in use for both male and female washroom areas. 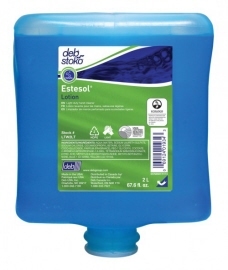 Will rinse easily from the skin to leave no soapy residues on the hands or in sinks. 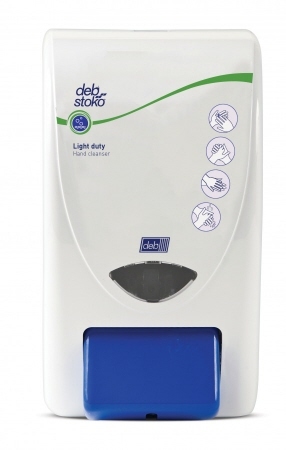 Deb Stoko Cleanse Light 4L Dispenser is used with 4L hand cleaners. 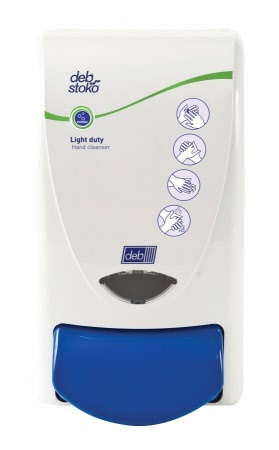 Simple wall mounted dispensing unit with large, 'easy-push' buttons ensure that virtually no one is precluded from being able to use.